The Flintstones is an American animated sitcom produced by Hanna-Barbera for ABC. The series takes place in a romanticized Stone Age setting, depicts the lives of the titular characters and their next-door neighbors and best friends. It was originally broadcast from September 30, 1960, to April 1, 1966, in a prime time schedule, the first such instance for an animated series. This is wise advise. It is from Barney. Jesus would agree. There is a day of judgement coming. Justice will be done. Read more here. 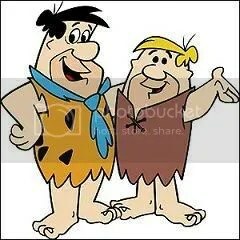 Here are more Fred, Barney, Wilma and Bam Bam quotes. Wilma, where’s my razor? Wilma, where’s breakfast? – Fred Flinstone? Nobody’s pushing me around. My decision stands! – Fred Flinstone. Consider joy, love, peace, kindness, meekness, goodness, faithfulness, hope, self-control, justice, patience, and gentleness. Well, a little humor for a Monday. YaBaDa Doo!! If someone doesn’t feel good after reading this, there’s something wrong with them. Amen, it is actually the most popular article on the site. Everyone loves to either be inspired, encouraged or entertained.